Magnetic Decorative Hardware and Accents for garage doors and entry doors. 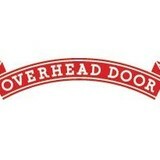 Overhead Doors Unlimted Inc. has built a solid reputation by providing the right door system solutions for our resedential and commercial customers in Northeast Wisconsin for over 30 years. We have the technology and expertise to perform maintenance or repairs for all makes and models of garage door products. We are available 24 hours a day, 7 days a week for your emergency needs. Overhead Doors Unlimited Inc. won't just sell you a garage door for your home or an overhead door for you business. We will take the time to find out what you're looking for, how you plan to use it and help you select the best door system, at the right price, to meet your needs. For the past 20 years, Garage Door Tech LLC has been offering garage door and overhead door installation and repair services in Mishicot, Wisconsin and the surrounding areas including all of Manitowoc, Kewaunee and Door Counties. We offer residential garage doors as well as overhead doors for car washes, machines sheds, barns, factories, and other large commercial buildings. We also stock parts for most major brands so we can take care of any repairs you need. Garage Door Specialty, Inc. is a full service overhead door company offering a complete product line for all your residential and commercial overhead door needs. We bring you the best in garage door service & repair, new door and opener sales, and we do it at very competitive prices. We have been committed to providing our customers with quality products, installation and service in the Manitowoc and Kewaunee County areas since 1980. You can rely on the garage door experts for your garage door installation and repair services.. We have 24/7 Emergency Service for residential, as well as commercial customers. Our techs are trained, experienced, friendly, professionals that will always give you the best options for your garage door needs. We sell a beautiful line of carriage house, traditional, and innovative contemporary glass overhead garage doors. Troy Genke has operated G&F Professional Services, a locally family owned business servicing Sheboygan and Manitowoc Counties, as well as most parts of Calumet, Fond du lac, Washington, and Ozaukee Counties since 1996. G&F Professional Services, Inc. is an authorized dealer of Amarr Garage Doors & LiftMaster by Chamberlain garage door openers. We sell and install garage doors and garage door openers, as well as offer complete service and repairs. What kind of services do Wrightstown, WI garage door dealers and installers provide? Garage door professionals specialize in the selection and installation of residential garage doors and openers that fit your budget, style and needs. 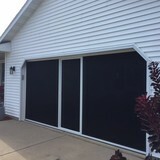 This includes choosing a garage door style — or designing a custom garage door — that blends in with your home’s exterior, selecting materials, determining a technological system that supports your security and access needs, determining proportions and dimensions, finalizing decorative designs and ensuring that everything meets Wisconsin compliance and building codes. 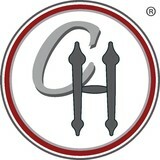 Find garage door sellers and installers in Wrightstown, WI on Houzz. Narrow your search for Wrightstown, WI garage door sellers and installers by selecting the nearest city or zip code. Look at portfolio and product photos, and read reviews to find the best Wrightstown, WI garage door professional for your home.